Szeged; R. Quimby, California Institute of Technology; D. Chamarro, M. D.
secondary maximum occuring on Dec. 26. 9.2-m Hobby-Eberly Telescope (+ Marcario Low-Resolution Spectrograph) by J.
minimum of the Si II 635.5 nm feature, is 11000 km/s. on 2009 Nov. 16 (limiting mag 19.2). on 2010 Jan. 3.06 (at mag 15.3) and Jan. 5.07 (mag 15.2), is located at R.A.
redshift z = 0.018, consistent with the redshift of NGC 7549 (z = 0.0157). feature, and corrected for the host-galaxy redshift, is about 10200 km/s. 2000.0), which is 36" east and 50" north of the center of the galaxy UGC 8255.
website URL http://observ.pereplet.ru/images/SN31de ... c08255.JPG. 29".6.; nothing was visible at this position on a KAIT image from 2009 Apr. 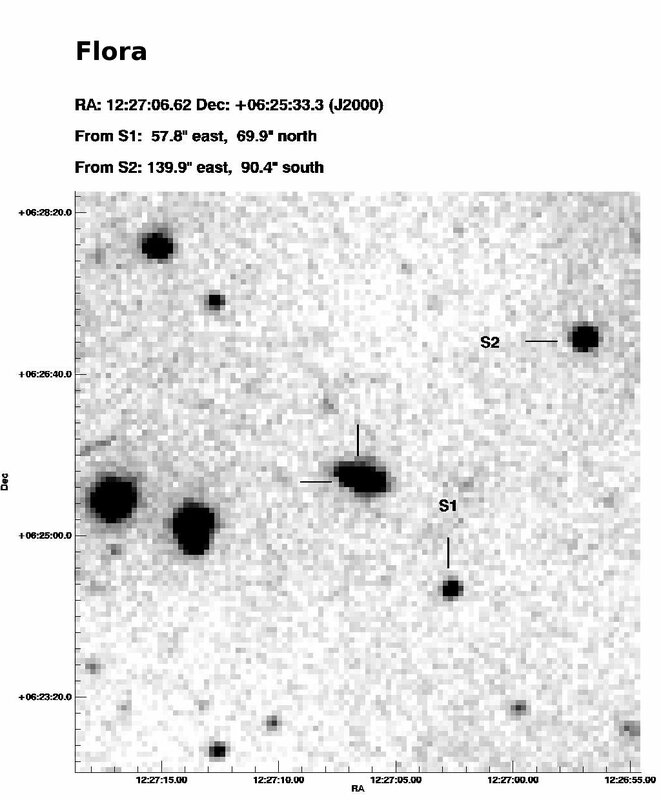 the "normal" type-Ia supernova 1999ee at 9 days before maximum brightness. southeast of a 15" by 22" coma, with the brightest part of the coma 6" by 12"
20-30-arcsec long, in p.a. 270 deg. K. Kadota (Ageo, Japan, 0.25-m f/5.0 reflector) followed it out to 5'. ephemeris are given on MPEC 2010-A32. 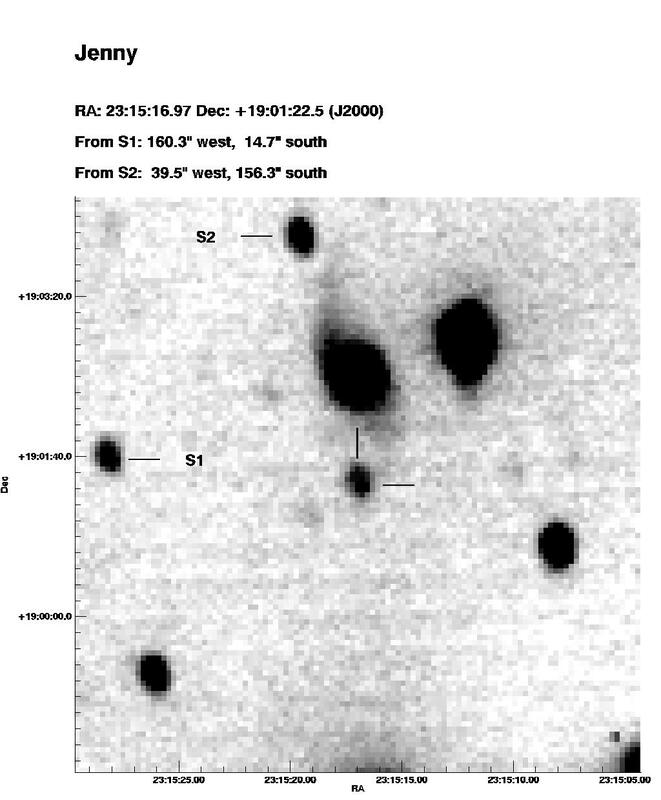 position end figures 08s.77, 50".2.
at this position on a Palomar Sky Survey F plate (limiting red magnitude 20.8). velocity of the host galaxy (NGC 5370, +3057 km/s; (de Vaucouleurs et al. the Si II 635.5-nm feature. Vaucouleurs et al. 1991, Third Reference Catalogue of Bright Galaxies, ver. absorption of the H-alpha profile. 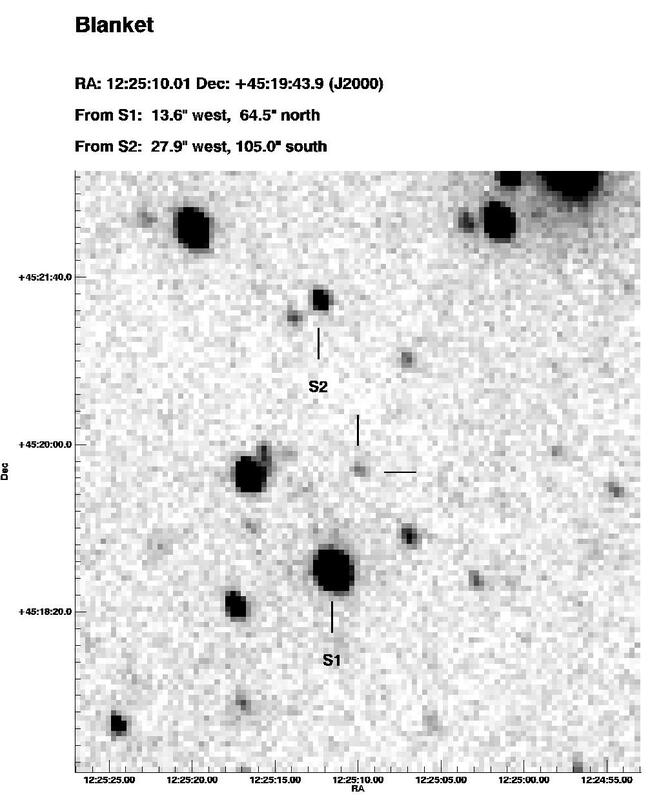 ``supernova impostors" (e.g., SN 1997bs; van Dyk et al. 2000, PASP 112, 1532). characteristic of a young type-II supernova. of 2009nb (cf. CBET 2099) on Jan. 12.2 UT with the Gemini (+ GMOS) telescope. Extraterrestrische Physik; A. Updike, Clemson University; P. Milne and G.
Williams, University of Arizona; D. H. Hartmann, Clemson University; J.
Rodriguez, Observatorio Astronomico de Mallorca (OAM); and S. Holmes, U.
J. Maza, M. Hamuy, R. Antezana, L. Gonzalez, P. Gonzalez, P. Lopez, S.
galaxy (cf. IAUCs 7158, 7160, 7161). at McDonald Observatory. The new object, which was observed again on Jan.
from the minimum of the Si II 635.5-nm feature is about 10000 km/s. telescope at MDM Observatory; a spectrogram taken by Prieto and Khan on Jan.
the 1.23-m telescope at Calar Alto on 2010 Jan. 2.799 UT.